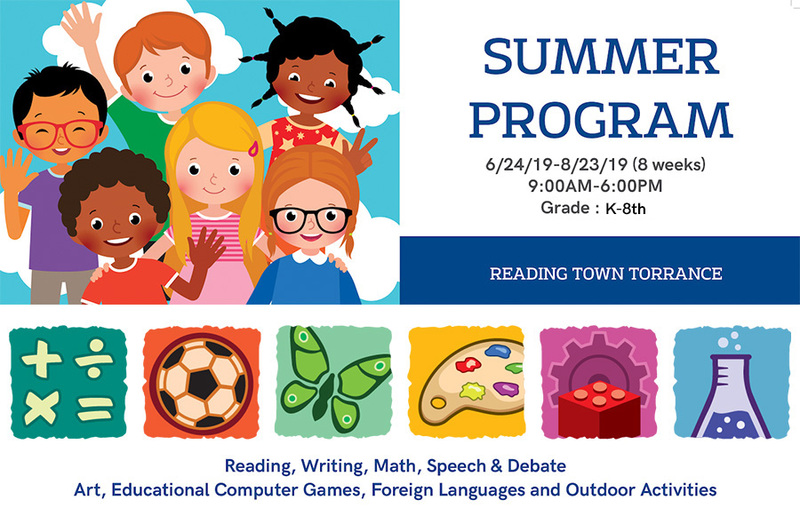 We are excited to offer half day & full day educational programs for Kindergarten through 8th grader for Summer Break (June 24 – August 23, 2019). The program runs Monday through Friday from 9:00 AM until 6:00 PM. Each day’s activities include English (reading, writing, listening and speaking), Math, Foreign language lessons and other fun activities such as music, art, educational games and outside activities. Our Summer program transforms your child into a more confident and excited student.